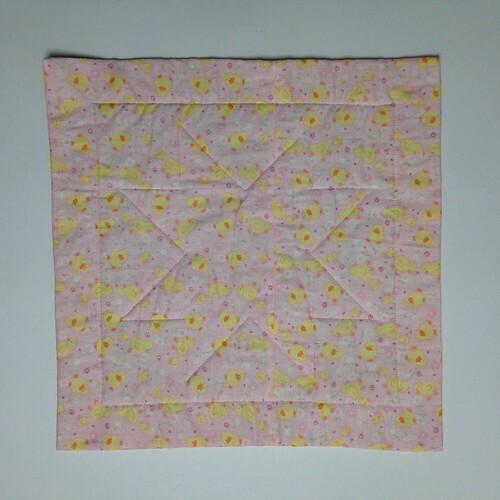 After making one mini quilt for a small child’s Christmas gift I decided that another similar aged small child could have one too. 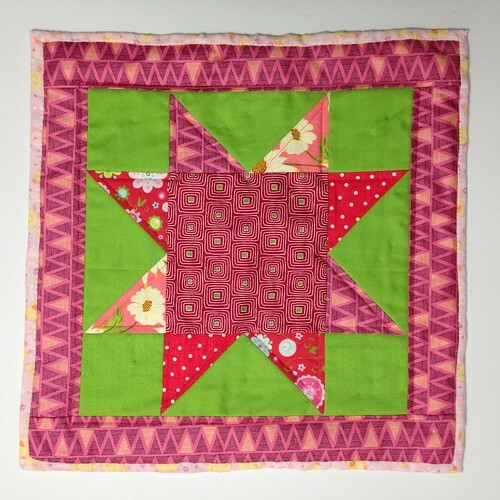 I used this tutorial which I used countless times when making Oh My Stars quilt. All from the scrap boxes, I even used the same green as in the other mini! 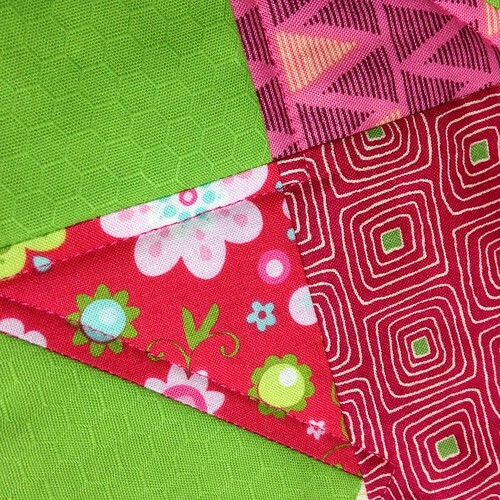 As you can see I quilted it fairly lightly and turned the backing fabric over to create the binding. It finished up at 15″ square the perfect size I’m sure for tucking up teddy. Another tick on that ‘need to make’ list!